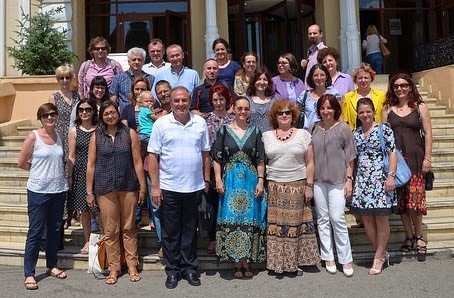 The Comenius project Education for Spatial Citizenship (SPACIT) piloted from July 8-10 2014 an in-service teacher training course in co-operation with Colegiul Naţional Iaşi, Romania. The SPACIT project concentrates on geomedia use in everyday life and supports teachers to change their learning environments accordingly. Modules on concepts of space, citizenship education, geomedia communication and reflection and geomedia technology were tested and evaluated by 28 teachers from Romania and Germany as well as the project team.